Published by Stephan Markov in Data-driven ecommerce marketing, Marketing Tools. 4 mins to read. Online sellers rarely use wishlists efficiently. They are considered only as a small tool of convenience for the shoppers. But wishlists are not just “better shopping experience”. They can increase sales and that’s why we analyzed the impact of using wishlists on 50 online stores. We all love real sales, not just promises. And nothing can be more convincing than real numbers from real online stores. So we randomly picked 50 stores and compared the sales in the 6 months before and after implementing wish lists. We found that sales increased by 19.3% on average. Quite some cash to leave on the table, don’t you think? Now, how exactly you can use them to increase your store’s sales? 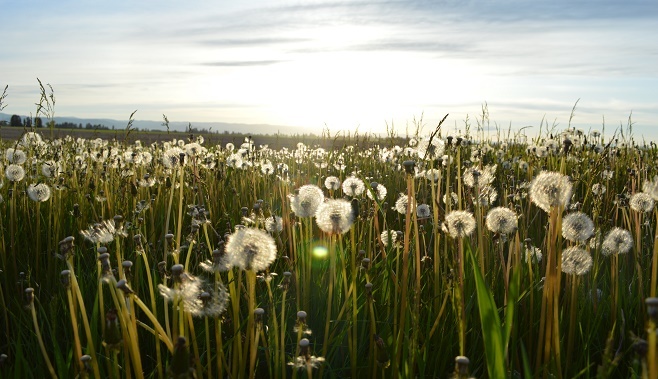 Below, we show 5 ways of using wishlists that help turn customer desires into real sales. 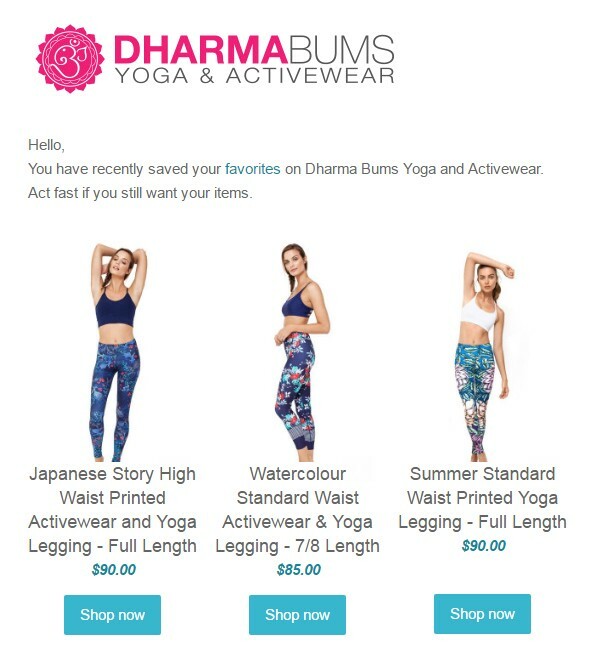 Dharma Bums is a yoga apparel company from Australia. 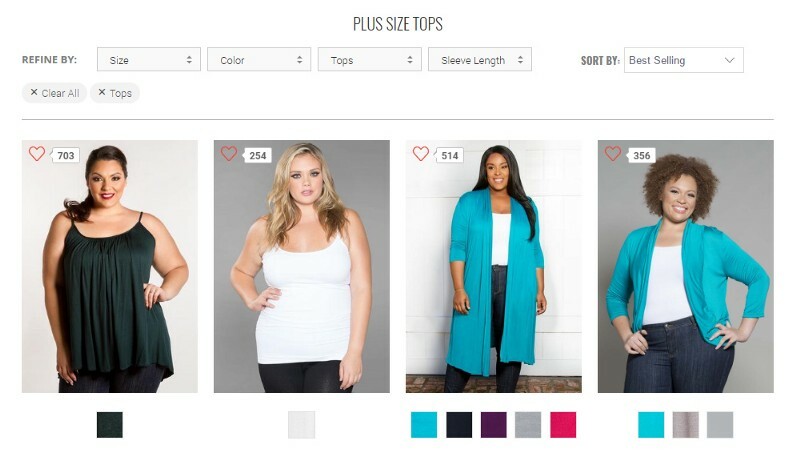 The brand managed to turn wish lists into a new sales funnel. Here’s how it works. On their site, visitors can add items to a wish list. When they try to leave, a pop-up asks them to save the wish list if they like – using an email address, of course. Now, that works for lead generation better than any newsletter promise. Visitors know it makes shopping easier – even coming back after browsing around. 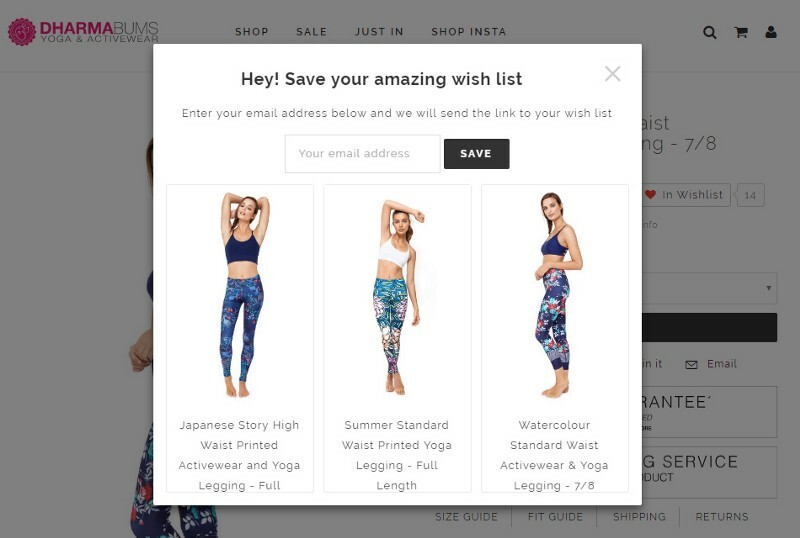 Immediately after entering an address, visitors (now leads) receive an email like the one below with items in their wish list. A bonus is that with this particular app from SocialShopWave, they can continue the shopping anytime from any device. It’s enough to click the “Shop now” button in the email. Then, visitors can receive two more emails as reminders that the wish list items are still available – on the second day and after one week. These reminders can help because people often forget they even used the wishlist. Or if they got interrupted while shopping, it’s a non-intrusive way to invite them back. This a great way to both care about customer convenience and push them to continue shopping. Retailers lose an estimated $93 billion in sales annually due to out-of-stock inventory. 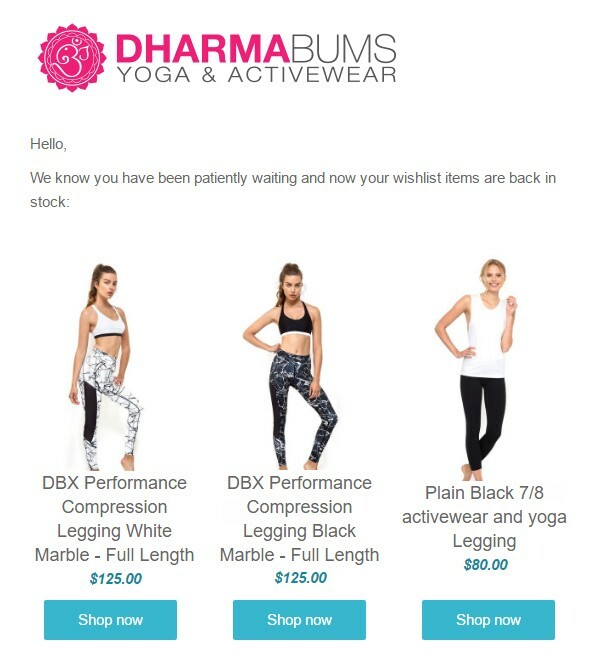 It’s important to show customers when a product is out of stock and to offer a way to follow up with them when it’s back in stock. Many retailers add a special “Remind me” button for this purpose. Dharma Bums went a step further by making this process more organic. It uses emails to notify wishlist users if anything they’ve added is back in stock. It can be a really clean email, too, with only the items and nothing else – no need to stuff it with distractions like other offers. 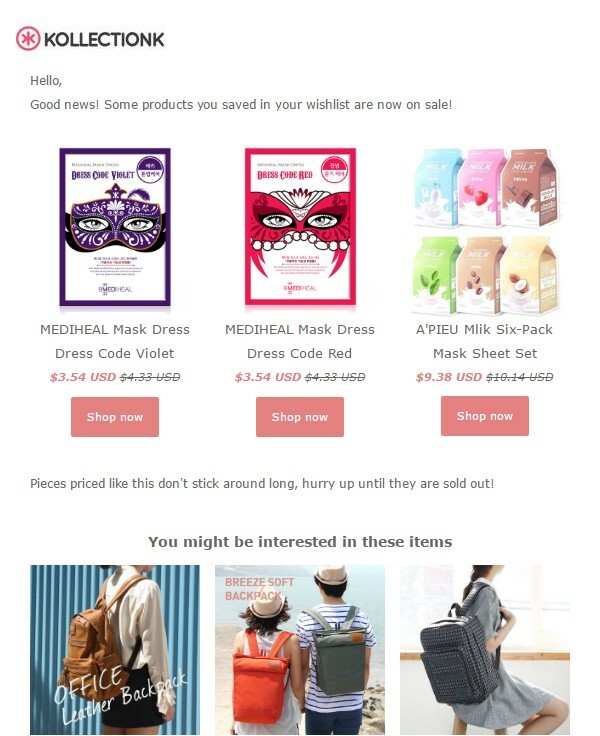 Like any other eCommerce site, KollectionK (Korean beauty products seller) emails customers about sales. But they don’t just mass-email about the whole campaign. Instead, the customer is notified that some of the items on their wish list are on sale so the promotion is much more meaningful to them. It’s much better to send a few effective emails rather than a bulk to everyone on your email list. Such emails have higher conversion rates and you have fewer chances to be flagged as a spammer. That one’s classic. There’s no better way to make people complete an order when we know what they like and want. The fear of missing out is a powerful driver. 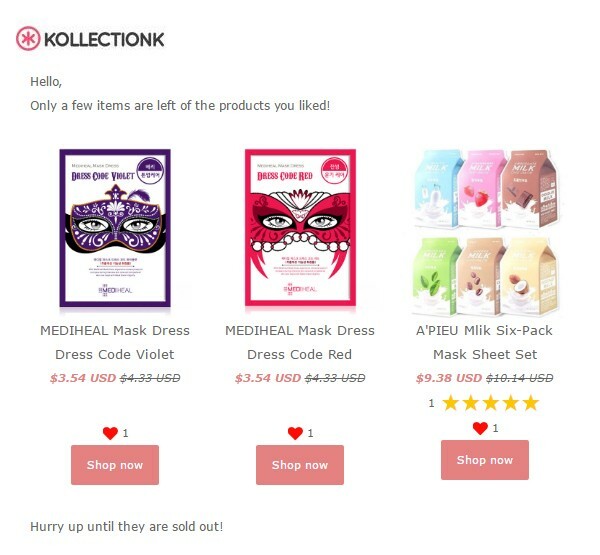 KollectionK sends another email to subtly nudge indecisive customers to act fast on products selling out. Thanks to wish lists, you know which products liked by each of your customers. Like KollectionK, you can use this knowledge to send personalized emails and urge customers to place an order. Sealed With a Kiss Designs, a LA-based clothing company, uses wish lists to add another level of social proof. They display how many people added each piece to wish lists. It really works well. These 3-digit numbers not only increase buyer trust for the brand but also attract more attention to the popular pieces. The “wish-list popular” pieces are selling better and getting more reviews. Your products probably can perform so well too – you cannot know until you try wish lists. Let them help you sell more. Wish lists not only improve shopping experience but also create a new sales funnel for you. You can convert browsing visitors, reactivate idle customers, get an order instead of an abandoned cart and win back disappointed customers. And you don’t need to be Amazon to get started using them in a smart way. Most popular eCommerce platforms have plenty of apps to offer for this purpose. For Shopify stores, try the SocialShopWave wishlist app. *This article was written with association with the guys from SocialShopWave who make social apps for online stores. Stephan is one of Metrilo's marketing monkeys. He can laugh at himself (and others), he is a vicious FIFA player and an occasional (space) traveler.